Hydrate: As the name implies, a good moisturizer should effectively nourish and treat dry skin with ingredients tailored to your skin type (normal, dry, oily, sensitive, mature/aging). Water-based moisturizers are typically preferred for normal and oily skin, while oil-based may be your best bet if you have extremely dry skin or mature skin. For sensitive skin that is susceptible to breakouts and irritation, avoid fragrances and dyes and look for calming ingredients like chamomile or aloe. If you&apos;re unsure, a dermatologist can guide you towards understanding your skin type and preferred ingredients in a daily moisturizer. Protect: To help prevent sunburn and early signs of aging, use a moisturizer that contains a broad spectrum SPF and be sure to reapply it regularly throughout the day for maximum effectiveness. It&apos;s pretty standard these days for moisturizers to contain SPF, which saves both time and money -- something moms can always use more of! Improve Skin Tone & Texture: Protecting and moisturizing the skin goes a long way towards improving its appearance but a good moisturizer will go a step further and include ingredients that specifically target redness, dullness, and dark spots. For example, I use "130XjBY" target="_blank">AVEENO Positively Radiant Daily Moisturizer that contains a soy complex and natural light diffusers that work to naturally even skin tone and texture and help improve the look of brown spots. Be Affordable & Accessible: I try beauty products day in and day out and I can honestly say there is no reason to spend a fortune on your beauty routine. Some of my favorite skincare and makeup products can be found at the drugstore and picked up for a few dollars. A lot of mass market beauty brands are owned by enormous conglomerates that spend hundreds of millions of dollars on research and development each year. They&apos;re leading the discussion on anti-aging and new skincare technology and the proof is in the pudding. Selecting a moisturizer that you can easily replace and slather on without feeling guilty will help you use it more and see better results. 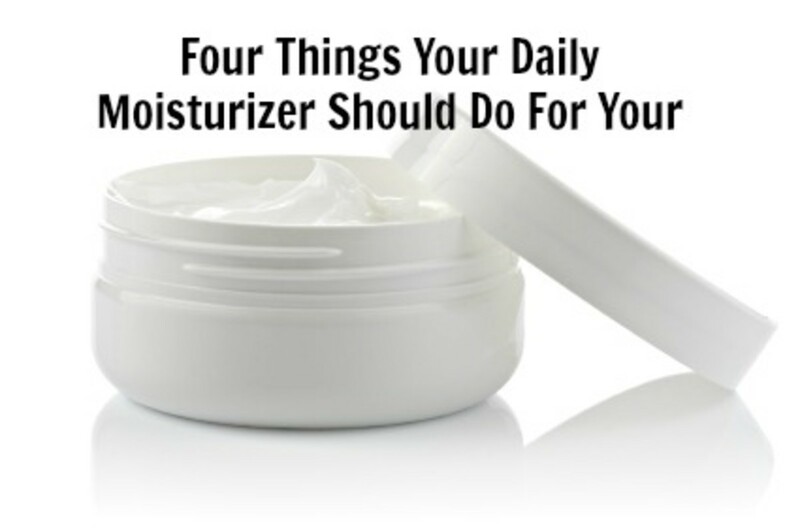 Is your moisturizer doing all these things for you?